The building which houses the Prospect Missionary Church was erected in 1869 for a Wesleyan congregation by a contractor named Arthur Elliott. For sixteen years it functioned until in 1885 the congregation joined with the Methodists. The same contractor remodelled the building into a 12 room house. 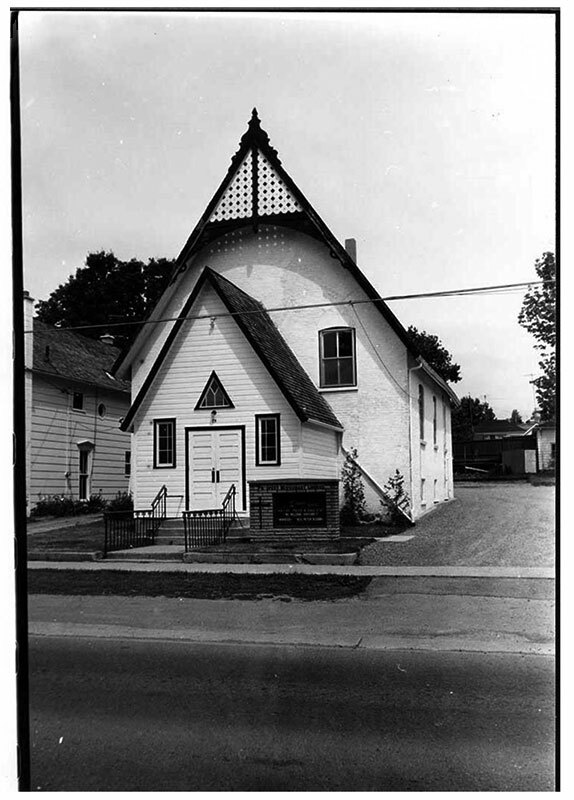 In December 1943, the building was purchased by Prospect Missionary Church for $1,500.00. Remodelling began immediately and continued during the spring and summer of 1944. During this period Rev. C.A. Berry became the pastor. By late Fall, the main auditorium was completed. December 9, 1944 heralded the opening and dedication presided over by Rev. R.A. Beech of Vineland, who was District Superintendent. The building was dedicated as Prospect Church. The name “Prospect” was taken from a sign found in the attic. Near capacity crowds met morning, afternoon and evening on this occasion. Mr. Leonard Gordon, reeve of the village of Colborne at the time said “….The spirit of our forefathers has not died out. One can feel there are men living who value those higher things in life.” Offerings for the day amounted to $329.22.